Now that Autumn is in full swing and the leaves have started to change colors, it's time to adjust your lifestyle to fit the season. As the days get shorter and the temperature drops, it can be easy to fall into a rut. Follow these tips to make this Fall healthier and more productive! Jann Washington is an experienced and thoughtful attorney based in Richmond Heights, Ohio. She began her career as a bankruptcy paralegal, where she worked closely with clients and attorneys to provide services in foreclosure defense and creditor/debtor law. 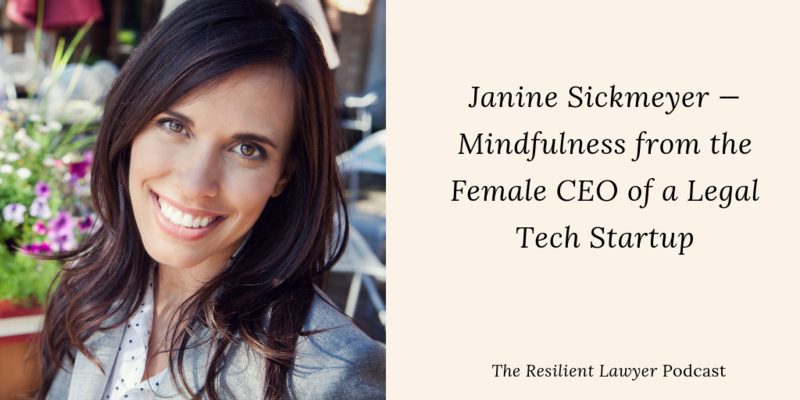 NextChapter CEO Janine Sickmeyer was featured on the most recent episode of The Resilient Lawyer Podcast. Read more to gain insight on how mindfulness can play a role in your business or law firm. Our CEO Janine Sickmeyer recently had the pleasure of sitting down with Kelly Street and Gyi Tsakalakis of Attorney Sync, a digital legal marketing agency. If you haven't heard, Kelly and Gyi recently started their own podcast called Clienting. They push out quality content for attorneys to up their digital marketing game. Listen to Janine on the most recent Clienting episode! Mark Little is a distinguished bankruptcy attorney & Army veteran in Madisonville, KY. He is actively involved in the bankruptcy industry and in his community.